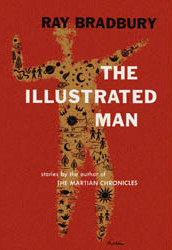 The Illustrated Man: Chapter Six - The Long Rain - Jimmie Aaron Kepler, Ed.D. This is one of my all time favorite short stories. A group of astronauts are stranded on Venus, where it rains continually and heavily. The travelers make their way across the Venusian landscape to find a sun dome, a shelter with a large artificial light source. However, the first sun dome they find has been destroyed by the native Venusians. Searching for another sun dome, the characters, one by one, are driven to madness and suicide by the unrelenting rhythm of the rain. At the end of the story, only one sane astronaut remains and manages to find a functional sun dome. Great post and site! I wondered if you might be interested in reviewing one of my novels?